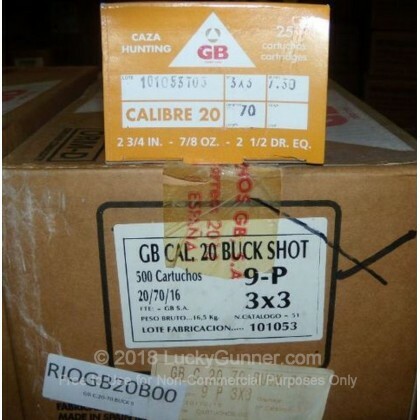 This one time buy on GB 20 Ga buckshot is an excellent price from GB's overstock. The individual boxes are labeled GB which is a trusted Spanish brand owned by the well regarded Spanish parent company Maxam. They had a surplus quantity for their own domestic market and have exported a limited shipment to the US market. This product is perfect for self-defense, hunting, training exercises, and just having a good time at the range. This is economical, reliable, and effective. GB is manufactured in Spain and has a solid reputation in the strong Spanish market. 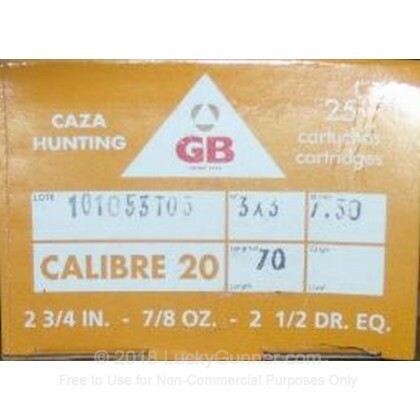 We don't have any reviews yet for this particular 20 Gauge ammo from GB (Maxam). If you'd like to be the first to review this particular 20 Gauge ammo from GB (Maxam), fill out the form below.